986Jim had the most liked content! Racing cars, crashing motorcycles, scuba diving, surfing, breaking bones and generally scaring the hell out of my wife and family. Oh I build race and street performance cars at a shop part time. Ever smoked the tires in a 600whp supra on the highway? 02 CBR600 11.4 @ 126mph. I have it in my car. It's only an LED that blinks as the spoiler goes up and down and stay red when it's up and off when its down. I thought it was also a switch so I could raise and lower it as well, but it's not. Its pretty cool to watch it blink when its going up, kinda lets you know its there and when the folk behind you are noticing a spoiler appear out of your car. Took about 2 hours to install with ripping the dash cluster apart but not a hard install, just some quality time sitting in the driveway. You have to loosen off the intake manifold bolts and slide the whole upper part of the intake manifold out of the way. Then when you have the lower bolt for the air box out (most people forget) you can get the box out. Even then it's with great difficulty to get that damnd thing out of the engine bay. It's so tight it's just incredible. After getting the intake manifold slid outta the way and the box loose it was another 20 minutes fighting with it to pry it outta the engine bay. Its so tight it slightly bent side of the metal around the opening to the engine. No because the car is still level just 1" lower to the ground. It's the angle of the headlight compared to the road that is most important not the overall height of the light to the road. If you change your lights by a few degrees that will drastically change how much you can see. All else being equal if the car is still level but just 1" lower than you shouldn't have any significant loss in light, or any really at all. Jim which one did you use from that link you posted, did you use the flexible Epoxy or another? Looks like they moved the site around http://www.venselenterprises.com/onlinecat...plies/p306.html its the flexane 94. A lot of guys are saying its too much vibrations in the boxster on that mount. I did it on a different car which had more engine mounts so it was not as noticeable. Seems like 80 is the way to go. Anybody have links for the 80 to buy online? Where does one buy that wing anyway? Well Jim....that's a good theory. But the battery is about a year old. It's still could be weak...perhaps the charging system is faltering.... But remember that it does this at highway speeds when the alternator is pumping out amps, so I'm not sure. Winter is coming and parhaps I'll take your advice about testing it, so I'll know what's going on for spring. Thanks. If it's happening while driving then its not the battery it's more likely the alt or the regulator controlling the alt. There will be a shop somewhere near where you live that can re-build an alternator. 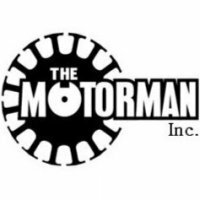 Check around for general machine shops and / or call the V8 performance & machine shops that build performance V8 motors they will know for sure. A lot of V8 guys like to keep all the original equip so they would never buy a new alternator... These guys have sources to rebuild and repair just about anything automotive. I know the guys at my local machine shop quite well they are a wealth of info. When I built the motor in my talon I had them bore the block for me and help me set the ring gaps and stuff. They thought the 4 cyl stuff was cool but never tried it. Once I had it runnin at about 26psi of boost it made 424.6whp and I went back and took buddy for a ride, he thought it was pretty cool. It didn't really impress him cause they make 800hp motors but he still was impressed for a 4 cyl. Either way they were cool with helping me out. I'm gonna bet that the battery in your car is going dead. When the HID ignites it uses about 30amp for a few seconds to spark the bulb. In that short time frame there is a huge draw on the battery, so if your battery is dead its gonna cause some lights to come on just the same as if the car had stalled. Take your battery into a car repair place and have it load tested. I'm willing to bet it's on it's way out. It's funny. I was thinking about coming back to this thread for some updates. One of the things that pissed me off was those city lights looking orange like that in with the HID. SO I fixed it!!! The orange in with the HID lights as pictured above is from that small peanut city light. It's on all the time with the car. They are a standard 194 bulb. I searched around ebay for LED 194 lights and found lots of guys selling these: http://cgi.ebay.com/ebaymotors/2-HID-WHITE...sspagenameZWDVW I poped these in and that yellow light was completely gone as the white from the LED matched the HID light almost perfectly. SO when I park and pull the ebrake handle and it's only the LED on the headlight don't look orange anymore either they have a nice light cool white hue to them which looks way better. It's not that simple. I highly doubt the 996 uses the same mounting point as our cars do. Many times you do a caliper swap you need to make up a bracket to relocate you caliper. Maybe somebody else can tell us here... Or you have to swap your hub which then means your making up custom drive shafts with a 996 end on one side and 986 end on the other. Then you will need the rotors and pads. I was under the impression that Boxster S calipers were 996 anyway so you should just look at upgrading to those F&R. Honestly unless your going to be racing there is not much point the stock 986 brakes are really good and if you replace the pads and rotors with something high performance etc you should get all the braking power you could need on the street. Down low below 65mph you had about a 5hp gain across the board, then it looks like at about 85mph variocam kicked in and there is a drop which is normal for any variable camed engine (VTEC MIVEC ETC), then the gains really started to pile on. You have an almost 25hp gain at 105mph which would be around the 6000-6300rpm mark by the looks of the graph. Pretty impressive. You got the power in the top of the band which is exactly where you want it if you like to go fast. The gains down low are pretty useless. I'm actually surprised they did that well. The headers did quite well on the 2.5 because they don't have a collector built into the header, where the 2.7 and 3.2 both do. Even though there is a cat there, the existence of some type of collector is going to make more power vs. not having one. You still made great power on top of that. I would be pretty happy with that thats great. Hey Jim, found your video, sounds great! Are you running upgraded headers and cats as well? Also noticed you used to run a MKIII VR6? I just sold my VR6 Turbo. Glad to see that all paths eventually lead to Porsche :) Just wondering what the ID of the pipes going into the exhaust are for the Maxspeed setup? Anyone have experience with the Fabspeed or Instant-G exhaust setups? Yeah thats it. I posted this from work and they block youtube so I couldn't put up the link thanks for that. I did run a MK3 GTi with DP nitrous never tracked it tho, and my talon has video's on there as well... The ID on the muffler is the stock ID for the exhaust system 2" or 2 1/4" or whatever it is. I'm still runnin stock headers and cat but I have headers now just need to install them, prob this sunday I'll put it on the hoist. My car is a 99 so only one cat which is nice. The headers make 12hp and 18ft/lbs so I'm looking forward to that I'll tell ya. No clean it.. Its easy to get to and easy to clean, just follow the steps on mike focke's page and you'll be fine. I got the same thing, cleaned it and a year later and many km it has been just fine. Yep I'm doing another engine swap, can we say X-51? You're mental. Lets see some pics of the process just for fun. What the hell is next seriously? A cayenne TT V8?